Several industry trends are putting pressure on risk adjustment – including risk-based model enrollment growth, increasingly complex data submission requirements, scrutiny from regulators, and downward reimbursement pressures – signaling the waning utility of traditional approaches. 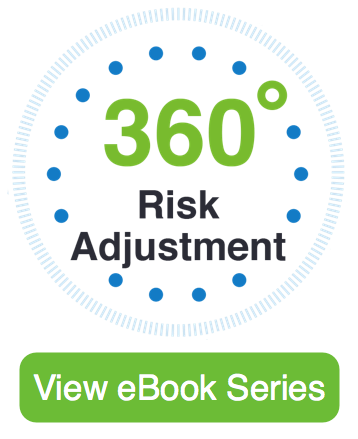 Financial Pressures: 360° risk adjustment allows organizations to better manage their financial health by strengthening both the top and bottom line. Market Pressures: Organizations taking advantage of 360° risk adjustment can gain a competitive advantage by setting more accurate premium prices, better tailoring products to the populations they serve, attracting high quality provider groups, and outperforming peers in VBC contracts. Patient Care Mandates: 360° risk adjustment engages providers and members alike to help organizations achieve “Triple Aim” goals: better quality of care, better health outcomes, and lower costs. Health Fidelity defines 360-Degree Risk Adjustment as "the comprehensive set of ongoing activities which project, detect, and capture all commensurate member risk, and thereby risk-adjusted payments, to cover healthcare expenditures for a member population." 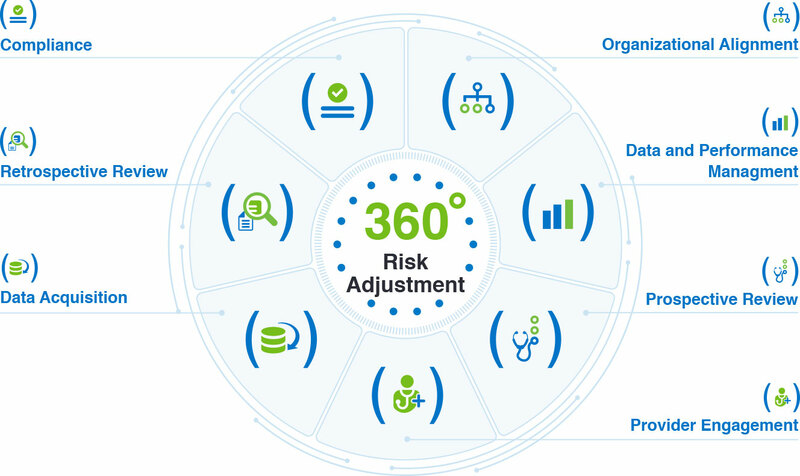 It's a fundamentally new way to perform risk adjustment that considers optimization from all angles, including how to modernize technology, enhance provider collaboration, integrate with multiple departments, and obtain performance control and transparency. Each piece is critical to overall success. Within each corresponding eBook, you'll find our strategic insights for transforming operations and detailed explanations on how to drive performance improvements. Download your copy now.